Master at Arms James A. Keating was one of the pioneers of modern defensive knife training. A lifelong martial artist with high-level instructor certification in many different disciplines, as an author, videographer, and contributing editor to Fighting Knives and Full Contact magazines in the 1990s, he was one of the first instructors to demystify knife-based personal-defense and offer sound, logical instruction to the public. In addition to his exceptional skills as a practitioner and instructor, Keating also has a keen insight into the nuances of martial knife design and has personally designed a number of highly acclaimed fixed blades and folding knives. After one of Spyderco's founders, Sal Glesser, attended Keating's legendary "Riddle of Steel" training camp in the late 1990s, he was so impressed that he invited Keating to design a knife for Spyderco. Released in 2000, that knife—the original Chinook folder—was a groundbreaking achievement in tactical folding knife design. As one of the foremost modern authorities on the martial use of the Bowie Knife, Keating wanted to distill the quintessential qualities of the classic American Bowie into an all-purpose cutting tool suitable for everyday carry. The first-generation Chinook did exactly that, boasting a thick, clip-point Bowie blade, an extremely stout back lock mechanism, and a single-position pocket clip configured for right-side tip-down carry. Early production of this distinctive design had blades crafted from CPM 440V stainless steel, while later knives featured CPM S30V blades. All were hollow ground with thick spines for an impressive balance of edge geometry and strength. The original Chinook attracted a devoted following among martial artists, self-defense practitioners, and other knife users who valued extreme strength in their cutting tools. 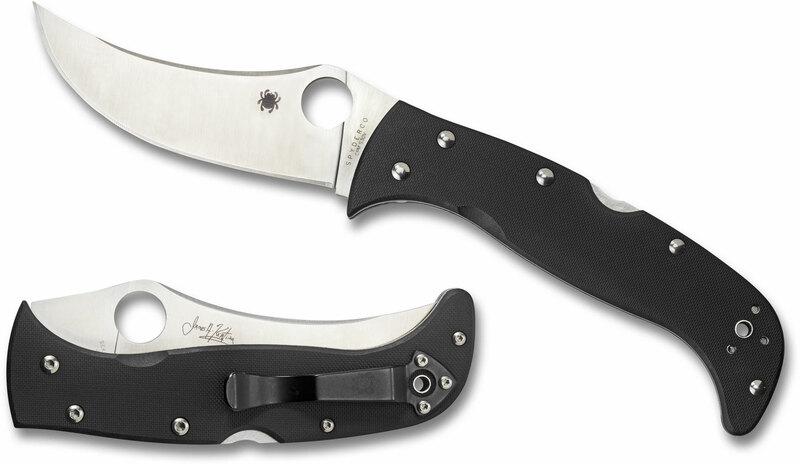 Although impressively strong, the first-generation design was also somewhat heavy, so in 2003 Spyderco refined it to yield the Chinook II. Its hollow ground blade had an even longer concave clip point and was paired with a narrower handle that accommodated a four-position pocket clip. Three years later, the Chinook was once again revamped to yield the Chinook 3, which featured a full-flat-ground blade with a distal taper to further reduce its weight and enhance its deft balance. Despite their improvements, the Chinook 2 and 3 were still heavy for folding knives and did not fully realize Keating's dreams of a light, exceedingly fast folding Bowie. The reason for their weight was to support the "back cuts"—inverted, clawing strokes with the tip of the blade—that Keating used in his Bowie Knife system. To withstand the rigors of these tactics, the knife needed an exceedingly strong lock. While the stout back lock used in the original versions definitely met this challenge, it also required the knife to be rather heavy. 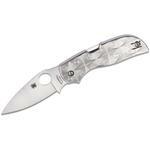 In 2014, Spyderco introduced the PowerLock in the impressive Tatanka model. The extreme strength of that lock immediately inspired thoughts of incorporating it into other designs—including the venerable Chinook. That powerful combination proved to be the key to realizing Keating's original visions for the Chinook design and inspired the Chinook 4. Leaner, sleeker, and quicker than its predecessors, the Chinook 4 truly realizes the original intent of Keating's landmark design. Its sinuous lines are highlighted by its dramatically swept clip point blade, which is crafted from American-made CPM S30V stainless steel. 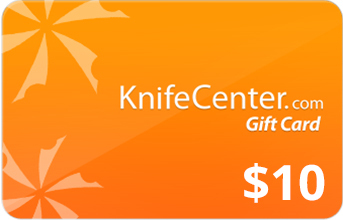 Its full-flat grind creates a distal taper and impressive edge geometry while enhancing the knife's quick, lively balance. Although the concave clip is not sharpened, when supported by the high-strength PowerLock, it is still capable of the cat-like back-cut tactics that are characteristic of Keating's Bowie method. Although the Chinook 4 maintains the signature handle shape of the original design, which "brackets" the hand for a rock-solid grip, its leaner, narrower profile offers improved ergonomics, maneuverability, and reach. 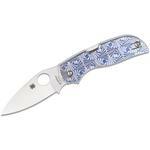 Its construction features skeletonized full stainless steel liners, a stainless back spacer, and high-traction textured G-10 scales. This sturdy framework provides a solid foundation for the knife's patented PowerLock—an advanced lock mechanism that operates like a conventional back lock, yet offers far greater strength. Completely ambidextrous in every respect, the Chinook 4 includes a fully accessible Trademark Round Hole in the blade and a reversible hourglass clip that provides convenient left or right-side tip-up carry. The handle also has a lined lanyard hole to allow the easy attachment of lanyards and fobs. Designed by a martial arts legend to honor an iconic element of American history, the Chinook 4 is a truly remarkable knife with a very proud heritage. It really does distill the key qualities of the Bowie Knife into a practical, everyday-carry format while showcasing the state-of-the-art in folding-knife lock technology. I own 30+ High-quality folders. Not a collector but I'm always looking for that perfect all around knife. Originally bought this knife for the upswept tip and to use specifically for field dressing. However I have found that I am reaching for this knife over all others for every day purposes. The blade shape lends itself to multiple tasks and opens with a flick of the finger ( I did adjust the screws to my liking to get the blade to open to my liking). I especially like how the handle has a stop both before the blade and at the rear of the handle. I would prefer a thicker scale with a bit more contour to make it more comfortable in the hand however this is a minor to non-issue for me. The weight is light but it is a large folder and does not "disappear" in your pocket. I touched the blade up briefly with a sharpening steel and it is now razor sharp. This knife is very refined and fits my hand excellent. Longer, lighter and now with the new Power lock it feels and sounds very secure. The new polished thumb ramp with no jimping and no finger choil is comfortable. The clip came tight and broke in nicely. The Chinook 4 has become my favorite knife and have a second one on order. 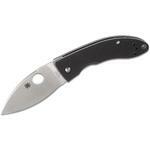 I would love to see Spyderco make an all black DLC blade black hardware low profile version. Thanks to KC for great service and Merry Christmas. Hey, I wanted to share "Spyderco Chinook 4 Folding Knife 3.89 inch S30V Satin Plain Blade, Black G10 Handles" with you from KnifeCenter.